At Fonolo, we’re always on the look-out for new industry research, studies, surveys and whitepapers. 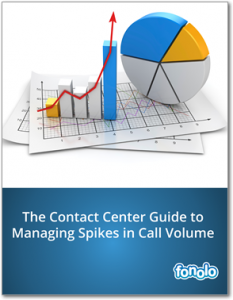 It’s the only way to stay current on the many aspects of the fast-moving contact center industry. 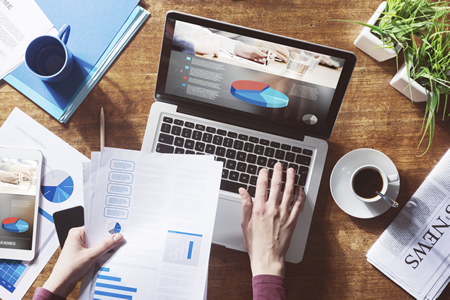 No doubt you’ve noticed that the popularity of “content marketing” has resulted in a dramatic increase in the quantity of content from vendors, analysts and industry groups. Sadly, that’s made it hard to find the quality among all the fluff. We’re here to help! Assembled below are 7 recent reports that we feel are worth your time. They feature original research and cover topics such as multi-channel trends, metrics, operational strategy, and much more. We are grateful to the authors (and sponsors) for all the insights and we’d like to pass along our recommendations to our loyal readers. 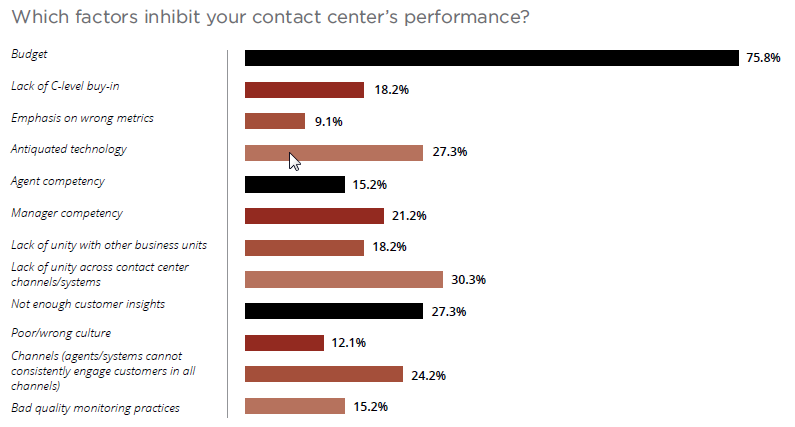 Today’s organizations are indeed moving to the cloud: twelve months ago, 80% primarily housed their contact center technology on premise. That number is down to 58% in the present, and it will fall to just 44% in the next twelve months. 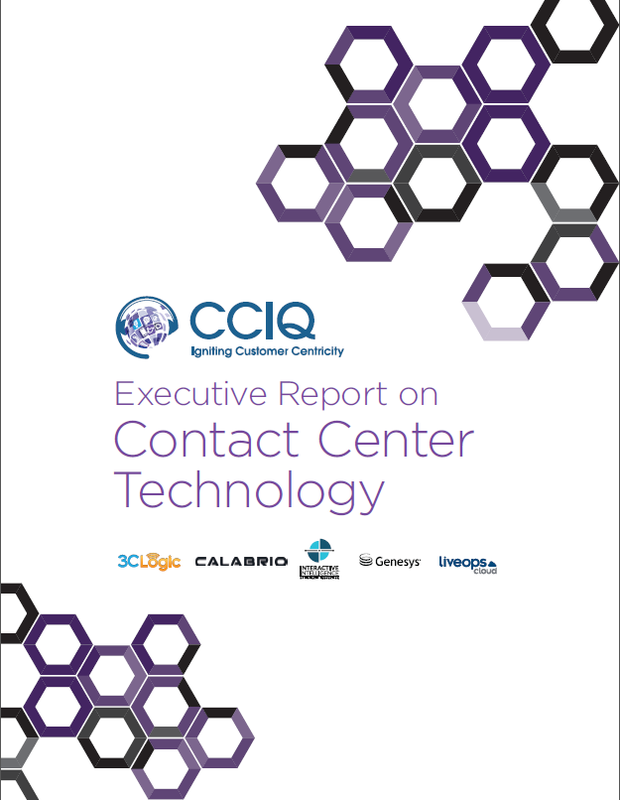 Decisions about contact center technology are most commonly made by C-level executives and IT departments. 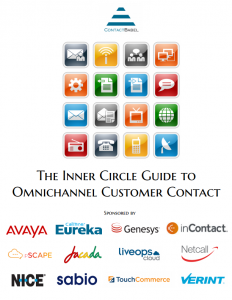 The contact center/ CX team guides these decisions in only 26% of organizations. This is a great visualization of the continued trend towards cloud and cloud-hybrid architectures for call centers. 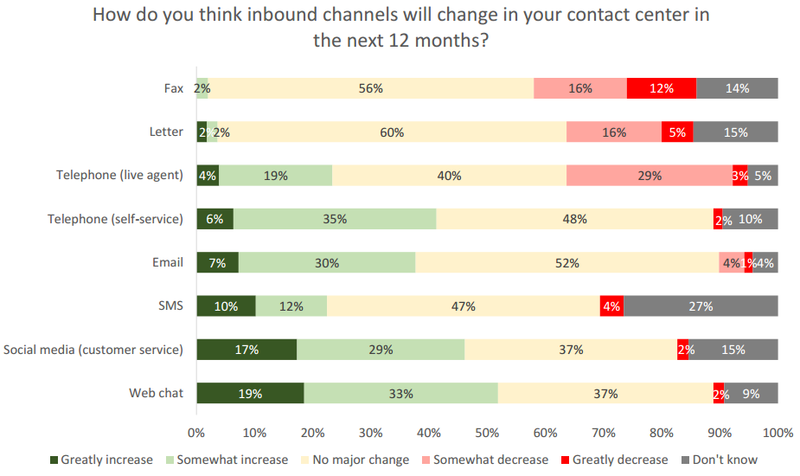 ContactBabel asked call centers how they expect the mix of inbound channels to change between now and 12 months in the future. This report is highly regarded because Dimension Data has been asking the same questions, with the same methodology, since 1997. 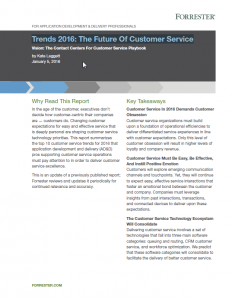 Hence, it gives us a unique view into the evolution of customer service. 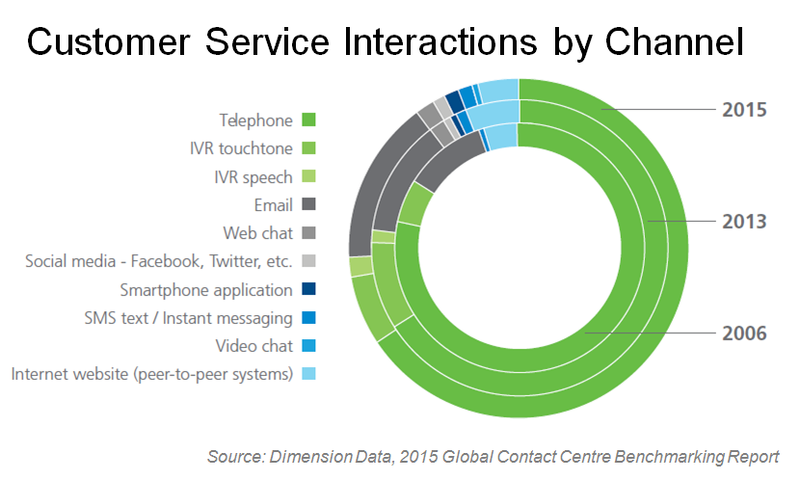 35% of all interactions are now on “digital” (i.e. non-voice) channels. 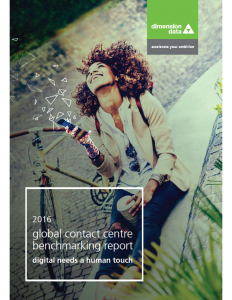 They further predict “digital interactions will overtake voice by the end of 2016”. 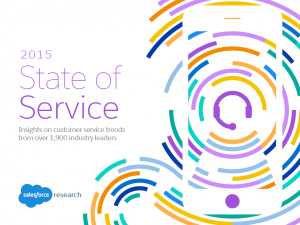 These nested pie charts show how the customer service channel mix has changed over the years. 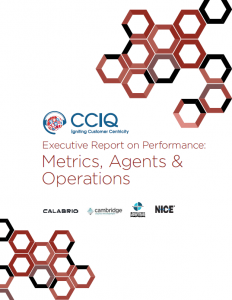 CCIQ asked the call centers in their survey which factors they felt were inhibiting their contact center’s performance the most. Based on a survey of 4473 US online adults, this chart shows which channels were used the most in the past 12 month period. 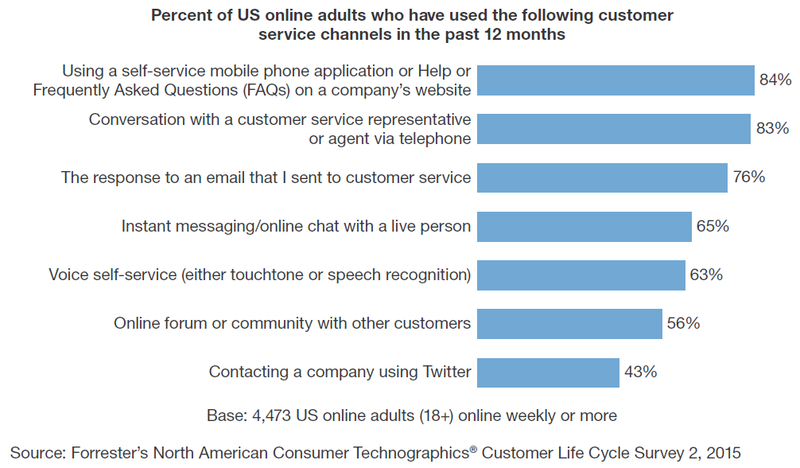 Consumers now regularly use at least four different channels when interacting with a brand or organization for customer-related questions and issues. 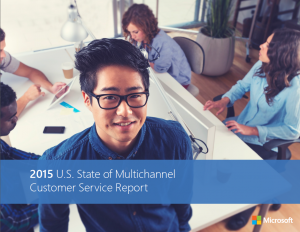 In addition to the growing number of channels being used, channel preference is also changing based on the customer’s perceived value for time spent. 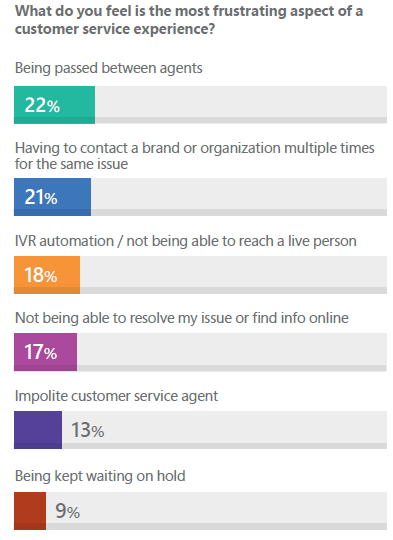 This chart shows what causes the most frustration to customers as part of the customer service process. 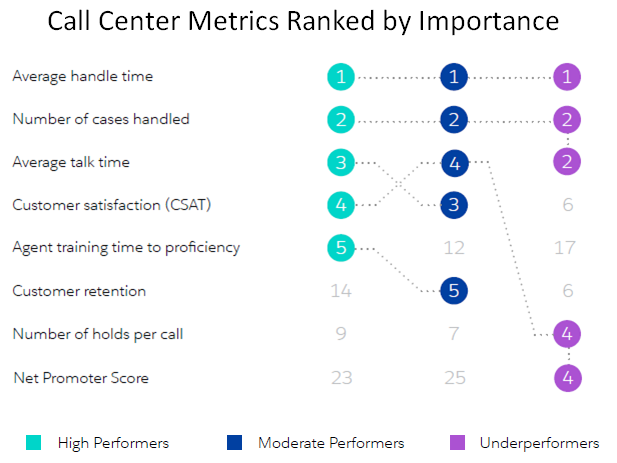 This is a unique view into how different call center leaders rank the importance of different metrics. It’s no surprise that “Average Handle Time” was ranked #1 across the board. (See our recent post 3 Pitfalls When Measuring Average Handle Time.) But it is interesting to see that only “underperformers” are ranking Net Promoter Score highly. Has this metric passed out of fashion? Hmm, maybe this is a topic for the next blog post!